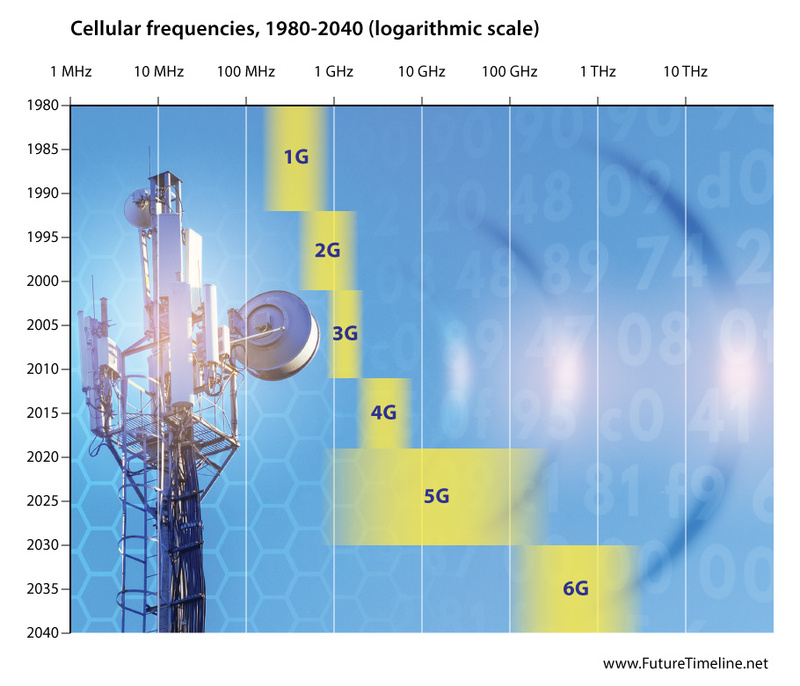 This graph shows the progress in mobile cellular frequency ranges – from the first generation (1G) in the 1980s to the sixth generation (6G) that is predicted for the 2030s. "Typically 150 MHz and up." "GSM (TDMA-based), originally from Europe but used in almost all countries on all six inhabited continents (Time Division Multiple Access). Today accounts for over 80% of all subscribers around the world. Over 60 GSM operators are also using CDMA2000 in the 450 MHZ frequency band (CDMA450)." 700 Mhz to 24 GHz and higher: "along with the 37-43.5 and 66-71GHz bands." Posted: 30th March 2019. Last updated: 30th March 2019.